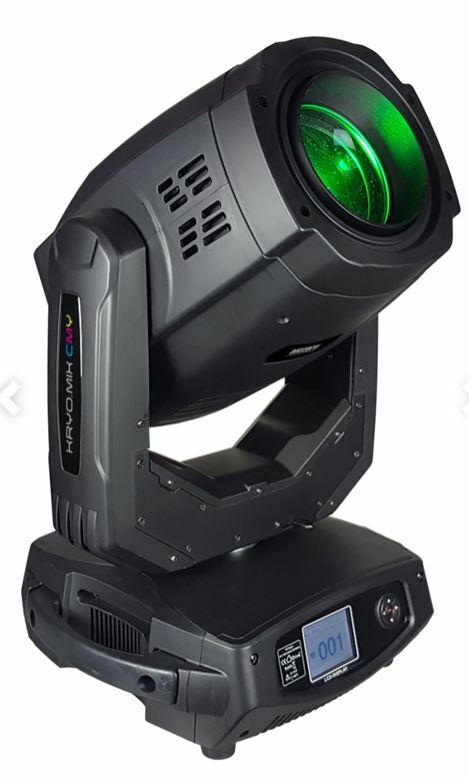 Other outstanding features of the Kryo.Mix™ CMY include smooth 540/280° pan & tilt movement (8 and 16-bit resolution), dual gobo wheels (#1 rotating, with 12 gobos + open, and #2 with 13 static gobos + open), 12/36-facet rotating prism with auto beam adjustment, motorized zoom and focus, gobo shake, frost filter, and 1-18Hz cycle strobe for an endless amount great beam effects. 21/23/28-channel DMX channel modes are also available and its operating modes include master/slave, and auto mode. Kryo.Mix™ CMY fixtures offer an easy-to-use 5-button LCD control panel, dual side handles for easy transportation, powerCON® compatible power input connection, 3/5-pin DMX In/Out jacks, and dual quarter-turn “Omega” quick connect type clamp brackets for secure truss mounting, making this one incredible 3-in-1 Beam/Spot/Wash moving head fixture.